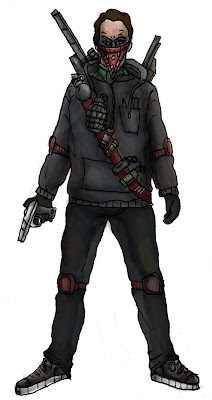 I have made these initial designs for each group of people in the game. As the game allows for custom made characters, I have designed them based on 3 random characters. 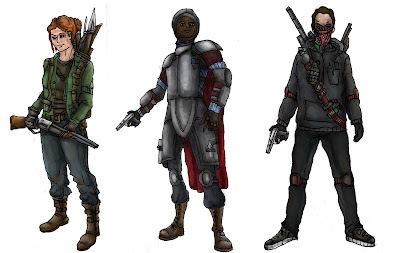 From the image above, you'll see an example of: The Scavengers (Left), The Retinue (Middle) and The Cabal (Right). 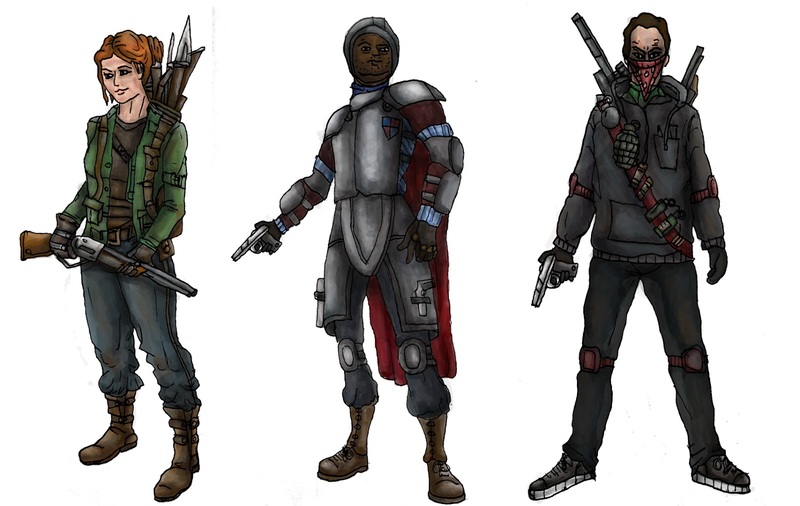 I think they all work individually, but I don't think it's clear that they all belong in the same game and in the same post-apocalyptic world. 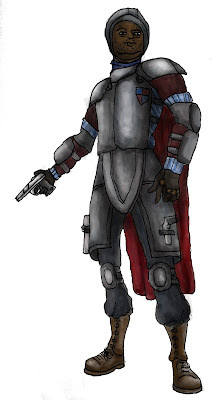 As you can see, I have redesigned the retinue character slightly, but I still think this design needs more work done to it, in order to make it look more "modern".